Modern fit and styling merged with old world tailoring gives the wearer a look of elegance and sophistication. 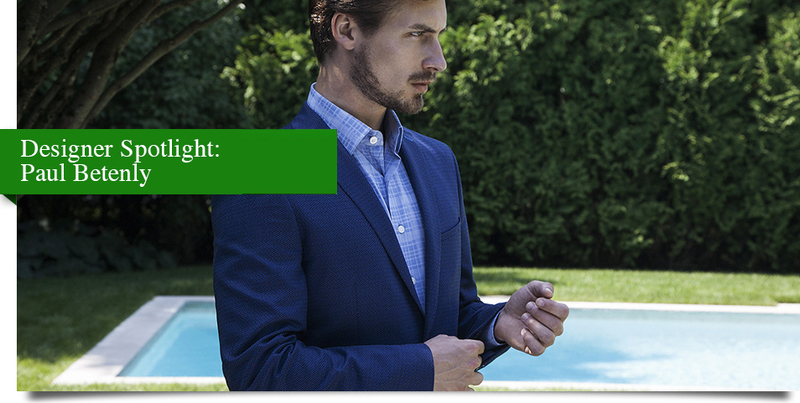 Our premium features combine to create a symphony of expression and functionality in sport coats, trousers and suits. Performance and style - redefined. 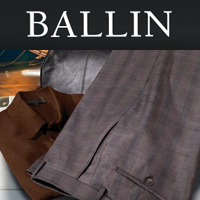 Ballin is a Canadian manufacturer of quality men's dress and casual trousers. 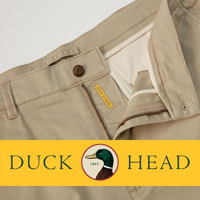 They are famous for their "comfort eye" waistband, which stretches up to 2" for comfort fit. 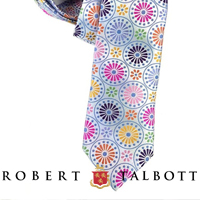 A true American luxury brand, Robert Talbott's exceptionally fine quality neckwear and shirting's are made to impress. Custom Shirting is now available. Classic style always wins out over fads and trends, when selection of fine materials, flawless pattern matching and precision needlework declare quality of the highest standard. 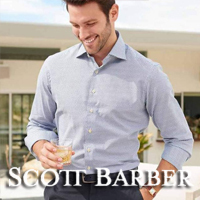 Scott Barber - fine, casual apparel for men. 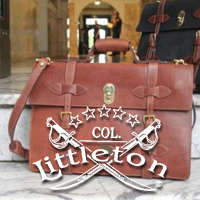 The brand that stands for the American eclectic, with an eye for craftsmanship and believes the devil is in the details! Fresh, vibrant, out of the box designs. Rugged. Authentic. Reliable. Timeless. It's the one piece of apparel that "works" in almost every situation. It's the versatile "tool" that does with you everywhere. 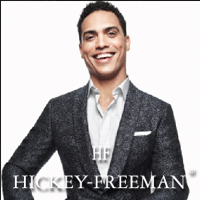 Classic, Enduring, American Style makes Hickey Freeman Men's suits, sport coats, trousers, and tuxedos, the finest in the world. 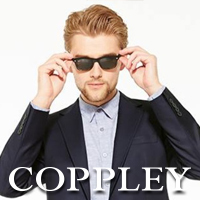 Coppley has been creating outstanding tailored pieces for the discerning North American male for over 120 years. Drawing on a heritage of distinctive British style and meticulous Canadian workmanship, Coppley has created an unmistakably modern form of design and luxury. Purveyor of Fine Accouterments in the Americana Tradition. Each product is brought to life in leathers, woods, brass and other materials with careful, detailed handwork. 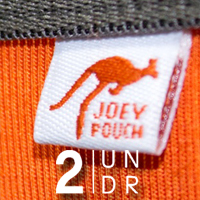 All quality, unique products are crafted with a special touch. Denim solutions for the discerning man. Progressive and sophisticated design, which incorporates both contemporary and classic denim styles. 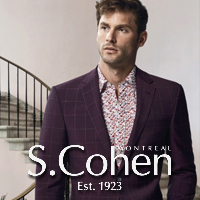 S. Cohen's mission is to provide innovative tailored clothing of the highest quality with modern design in a classic fit. 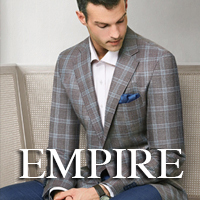 While first impressions are important, Empire believes that lasting impressions are more important. What you wear creates an experience not only for you, but also for others. 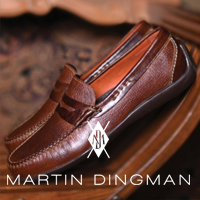 Arkansas' Martin Dingman is well-known for its luxury leather goods, which includes footwear and belts. 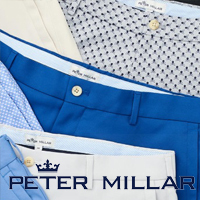 Excellence is the standard of all things Martin Dingman. 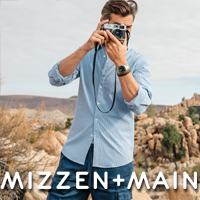 Mizzen + Main proudly manufactures our moisture wicking dress shirts in the USA. We strive to have a positive impact by continuing to work with the suppliers, sew shops, and distributors in the US. Innovation and inspiration are the key words to describe Infinity Custom Linings. 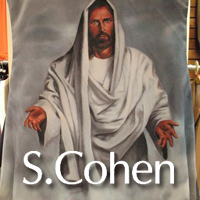 Send us your image or choose from our library of images to have printed into your custom jacket, vest, or sport coat. Now, what is close to your heart, can truly be close to your heart! Call for additional information. 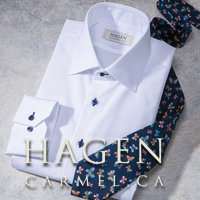 Hagen is a "fashionably wearable" line with a decidedly luxurious sensibility. Focusing on luxurious fabrics from Europe, finely detailed stitching, buttons, buttonholes, and premium packaging this line will impress. Whether you hunt, fish or just enjoy the great outdoors, GameGuard has you covered. 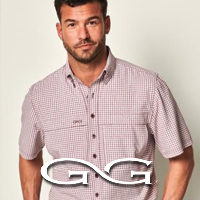 These flat bottom shirts can be worn tucked or untucked for a decidedly comfortable experience. Our premium features combine to create a symphony of expression and functionality in sport coats, trousers and suits. Zanella is an iconic Italian luxury brand that offers classic dress pants made exclusively at its Vicenza, Italy facility. Brackish bow ties and pins are a one-of-a-kind work of art. Every piece is handcrafted locally in South Carolina. 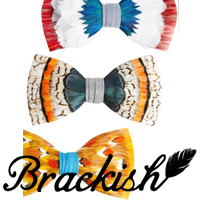 Every single feather is hand selected, no two Brackish bow ties are exactly alike. 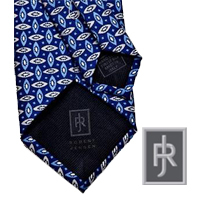 Every tie is a sustainable work of art. 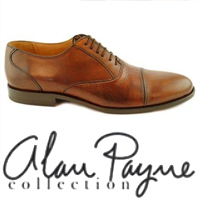 Alan Payne Footwear offers style and durability. We pride ourselves on the diversity of our dress casual line. 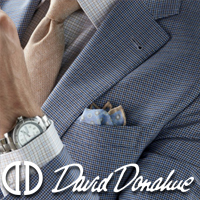 David Donahue is the name gentlemen turn to for authentic style of true distinction. 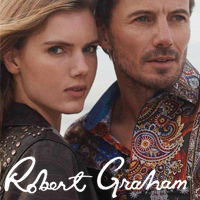 Flawless accents offered against the highest quality fabrics, the ultimate in sophisticated self-expression. European craftsmanship coupled with the finest skins in the world. 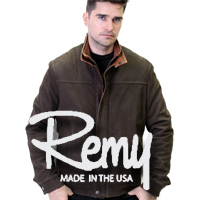 Each skin is uniquely designed to Remy's specification for both style and function. 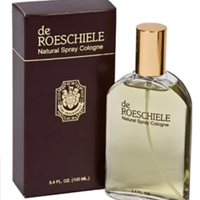 Masculine fragrance with a light refreshing scent and cool sweet notes. Developed in 1977, this men's fragrance line has grown to include a full collection of toiletries. Style, quality and comfort in every detail. One of Sweden's most well-known and respected brands. 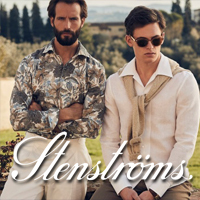 Stenströms shirts carry more than 100 year of tradition, craftsmanship and quality. A master touch of quality and craftsmanshiop. 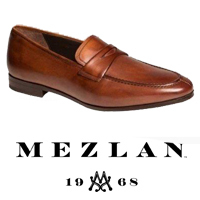 Mezlan footwear features a wide selection of genuine exotic skins and fine leathers, coupled with world-class craftsmanship, setting the standard for quality and performance. Like the best moments in life, clothing should be intuitive, natural and make you feel better. 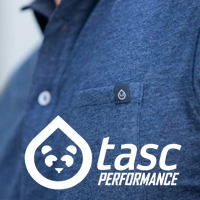 Bamboo performance technology. 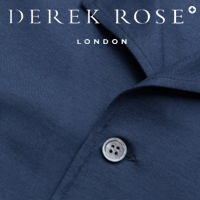 Derek Rose is a family business of three generations working together to make the very best nightwear, loungewear, leisurewear and underwear. 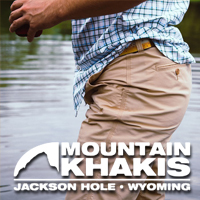 Based on and made the same way as the WWII originals, Bills Khakis genuine American-made quality never grows old. Using the most advanced construction techniques and materials, 2UNDR provides more support than a standard brief with the best fit, comfort and style man has ever experienced. Impeccable Italian craftsmanship. Classic American styling. The finest materials. 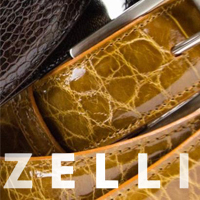 With these guiding standards, the Zelli brand was formed in the mid-1990s. The Zelli standards continue today along with a passion for providing incomparable customer service. Dressing well increases a healthy regard for who we are, where we have been, and what we can do. It supports an optimistic outlook and reflects our capacity to achieve. Long before you discovered Duck Head, generations before you put Duck Head to the ultimate test. It is a history few brands can match-150+ years of enduring quality. All trademarks are © of their respective owners.